Write Action is a nonprofit 501/3C corporation. 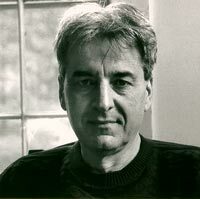 Vincent Panella's memoir, The Other Side, Growing up Italian in America, was published in 1979, and his novel, Cutter's Island, won a ForeWord Magazine award in 2000. He grew up in Queens and lives in Marlboro, Vermont. He is a graduate of the Iowa Writer's Workshop and the former Writing Specialist at Vermont Law School. He has also written and edited for The Commons, a Brattleboro, Vermont newspaper. His most recent novel is called White River Junction, and his story collection, Lost Hearts, will appear this Fall. On a winter morning in Manhattan Bobby Callahan boarded a Greyhound bus with a one-way ticket to White River Junction, Vermont. As he traveled through the streets he found himself rapping one knuckle on the window, less aware of the scene outside than the noggin of the cousin he would soon surprise, Larry Kaufman, who teased him all through boyhood about his weight, and who refused to help when Bobby was in trouble at Ray Brook Federal. ‘I can’t help you, Cuz, I’m not a member of the Bar Association.’ This from a law professor. Can’t help? What else did Larry need to know when Bobby pleaded, ‘They’re beating the hell out of me in here, and everything else!’ Not a member of the bar? What kind of an excuse was that? Once on the east side Bobby lifted his eyes toward Queens, where he’d killed a man named Chance Garcia in his neighborhood schoolyard. It wasn’t far, over the East River and into Jackson Heights, from there to Public School 69 and an alcove known as The Dungeons. Bobby relived the event every day of his life. He saw himself kneeling on the Dungeons grate and peering down into the window well where the knife had fallen. He couldn’t see a thing. Even as the bus left the city and stormed into Connecticut, Bobby was still back there, in the schoolyard, home of The Vigilantes, the gang he’d started, nick-named The Vidgies by Larry, always good with words the prick. Even with his last twelve years in the cage, a man in his mid-forties who should have reconciled his past, Bobby’s inner hand could hear the rattling chain link and feel the rough brick of the schoolyard’s hidden pockets. He could still smell the fuel oil and city dust mixed with the fluids of sin. Soon the mountains and snow-covered flats of Massachusetts flew past, and the degree to which Larry had escaped the old life struck Bobby like an arrow of envy. The landscape was isolated, snowy, and to him a little wild. Once in Vermont the bus hummed through the valley of a frozen river whose name Bobby would soon know, the river just beyond the stiff winter trees and strips of valley. Here the land was so brilliant white and frozen over that Bobby couldn’t distinguish between river and valley. But then the highway curved and climbed, and Bobby made out the river below as a swathe of ice cutting through mountains. Closing his eyes, he pictured the river dark and clear and the feathered heads and bark canoes of the eastern tribes he’d read about as a boy.